Launched by comedy writer Jenny Jaffe, Project UROK aims to destigmatize mental illness and provide online resources for teens (or anyone really). According to the site, “46.3 percent of 13-18 year olds have a diagnosable mental illness (NIMH). One in 12 teenagers will attempt suicide, and one in six will seriously consider it.” Project UROK wants to deal with those statistic head on by talking frankly (and sometimes humorously) about mental health. One of the ways the site reaches out is through these celebrity profiles, which they’ve previously released with actor-turned-writer Mara Wilson and standup Myq Kaplan. In each video the profilees talk about the specific issues they struggle with, share some details of their journey towards accepting their mental illness, and offer words of advice for those who might need help. Wheaton has generalized anxiety disorder and chronic depression, which he suffered with for 15-20 years before his wife finally encouraged him to talk to a psychiatrist. 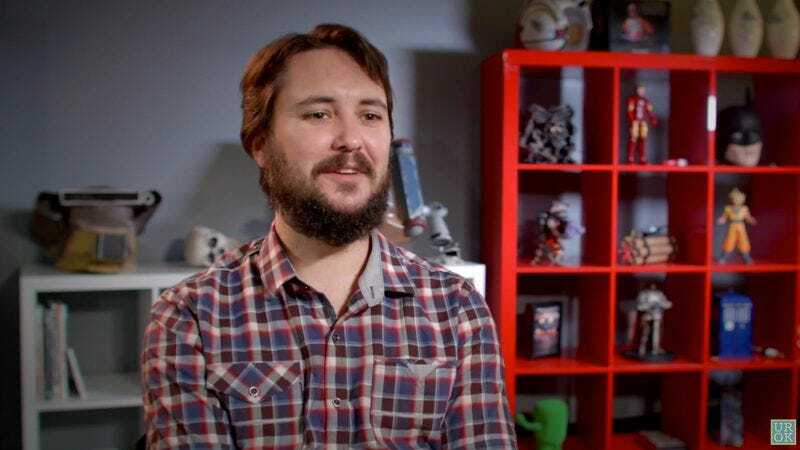 “What I accepted as just kind of normal,” Wheaton explains, “was part of my mental illness expressing itself.” He also talks about the fact that going on medication was crucial to managing his mental health. Those who want to hear more of Wheaton’s musings on life can check out his Tumblr. Those who now feel bad about making fun of Wesley Crusher all those years can rethink their life choices while rewatching Star Trek: The Next Generation.